In spring 2017, not long after taking his place in Trump’s cabinet, Zinke announced he was “reviewing the status” of more than two dozen national monuments—code for undermining the system of protected areas TR launched with a stroke of his pen in 1906. 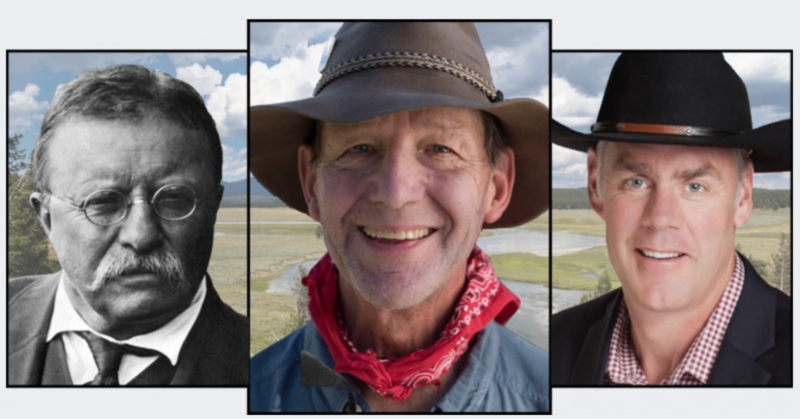 Mountain Journal thought who better to gauge the worthiness of Zinke’s appropriation of Teddy Roosevelt than TR IV? Ryan Zinke Theodore Roosevelt TR IV Will the real Teddy Roosevelt please stand up?